No Wifi in Stonethwaite. What a disaster, no blogging tonight. The forecast was for thunderstorms so we had an early breakfast to make sure we were on our way by 9am. We wanted to be off the high ground before the storms arrived. It was quite a pull up to High Spy and before we reached the ridge the rain had arrived. Rain and no visibility on the tops. 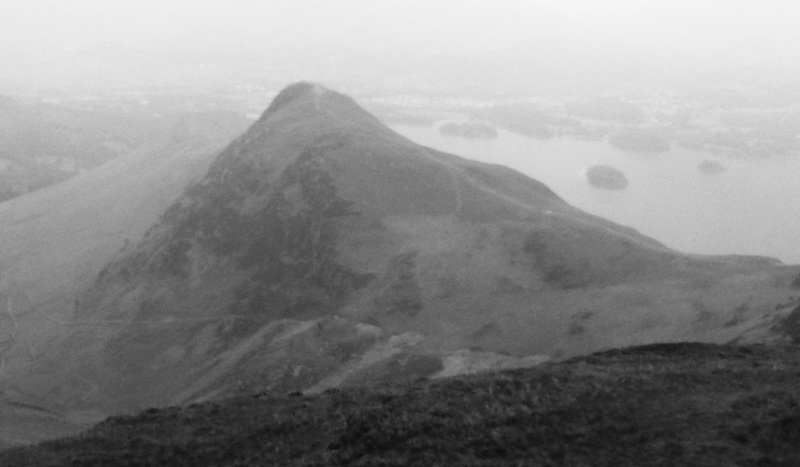 We headed for Maiden Moor and I was surprised by the view to Cat Bells. It was really impressive but needed better light. I took a photo on my phone as a reminder. We made it to Cat Bells in time for our 1pm lunch booking! Flat light so no proper photos. Lots of people. I carried my Mamiya 7 camera and Sekonik spot meter all day but didn’t take anything. Fortunately I left out the second lens, tripod, filters and camera case to save my back! We have a luxury hotel in Keswick including separate rooms and a 4 poster bed! Al should sleep well tonight (he whinged about me snoring last night keeping him awake – I think he has me confused with the person next door as I have never heard myself snore). Jolly difficult to book just one night for the weekend of the Keswick beer festival. The festival is all ticket and we don’t have any so we found a few pubs to compensate. That’s 2 big days out of 3 with bad weather and few photos. 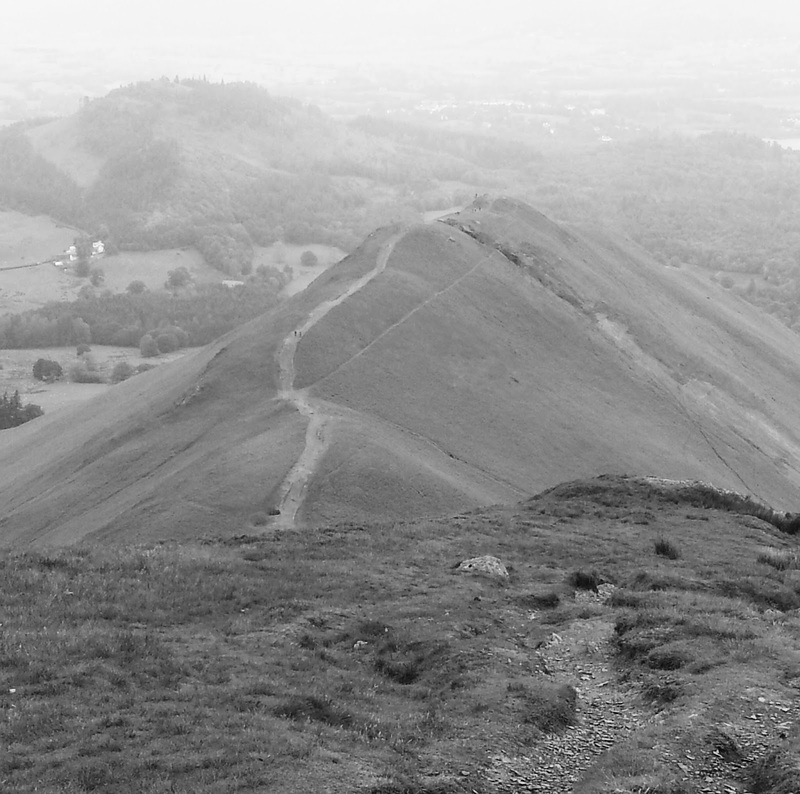 It’s interesting that when I plan these trips I always imagine the walking days are in good weather. What’s going wrong?